Situated in The Dalles, this motel is within 3 mi (5 km) of Old St. Peter's Landmark, Fort Dalles Museum, and Columbia Gorge Discovery Center and Wasco County Museum. Pines 1852 Winery and The Dalles Dam Visitor Center are also within 6 mi (10 km). 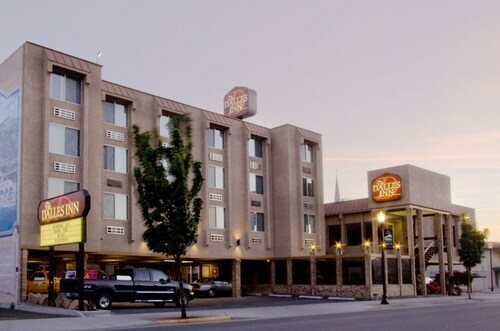 Located in the heart of The Dalles, this hotel is within 1 mi (2 km) of Old St. Peter's Landmark and Fort Dalles Museum. The Dalles Dam Visitor Center and Pines 1852 Winery are also within 6 mi (10 km). Situated in The Dalles, this hotel is 0.7 mi (1.2 km) from The Dalles Dam Visitor Center and 3 mi (4.8 km) from Old St. Peter's Landmark. Fort Dalles Museum and Doug's Beach State Park are also within 9 mi (15 km). 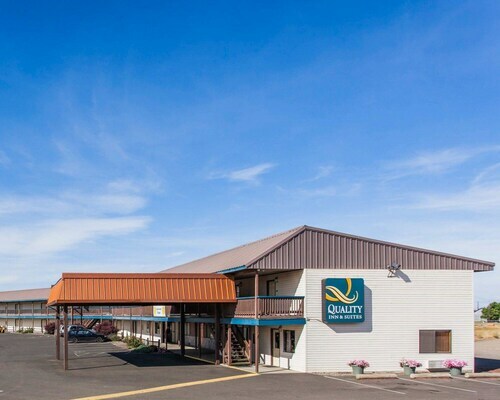 Located in the heart of Goldendale, this hotel is 3 mi (4.8 km) from Goldendale Observatory and within 12 mi (20 km) of Maryhill Stonehenge and Maryhill Art Museum. Maryhill Winery and Deschutes River State Recreation Area are also within 20 mi (32 km). How Much is a Hotel Room in Wishram? Hotels in Wishram start at $59 per night. Prices and availability subject to change. Additional terms may apply. You'll find 14 places to kick your feet up within driving distance of Wishram through Travelocity's large accommodation booking platform. 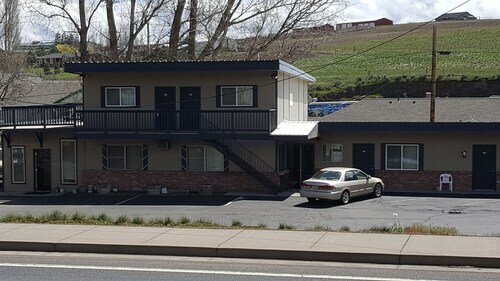 The Comfort Inn The Dalles, Oregon, which is the closest accommodation option, is positioned 9 miles (15 kilometers) from central Wishram. Another nearby Travelocity accommodation option is the Celilo Inn, which is located in Oregon, 9 miles (15 kilometers) from the middle of Wishram. Have a look at the Quality Inn & Suites or the Cousins Country Inn. 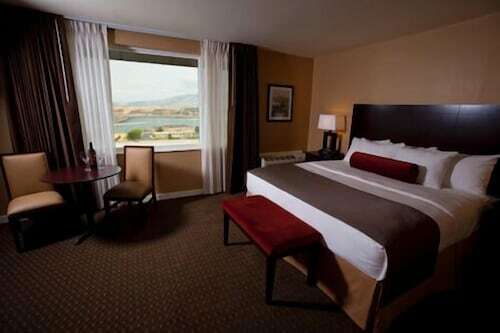 The Quality Inn & Suites is located only 13 miles (20 kilometers) away from central Wishram. The Cousins Country Inn, is situated just 12 miles (20 kilometers) away. Some other accommodation options in the neighborhood include the Shilo Inn Suites Hotel - The Dalles and the The Dalles Inn. If you intend to immerse yourself in the mountains in this corner of United States of America, you could plan to spend some extra time in other areas of Central Washington. Whether you engage in commonplace ways of enjoying yourself, for example rock climbing, hiking and camping, or would instead prefer to skip around the area to discover local attractions, you'll be able to easily reserve the best Travelocity-listed hotel establishments close to here. There are a variety of rooms in Toppenish, which is positioned 60 miles (93 kilometers) northeast of Wishram. Travelocity-registered hotel options here include the Vintage Valley Inn and Quality Inn & Suites Toppenish - Yakima Valley. Yakima Air Terminal - McAllister Field Airport is a major entry point for those accessing Wishram. It is 65 miles (105 kilometers) from the center of the city. For wise travelers who have plans to find a Travelocity-listed base nearby, book the Holiday Inn Yakima or Hilton Garden Inn Yakima. Everyone is so nice and goes out of their way to mKe sure all of your needs have been met. It was nice. We were there for one short night but it was very nice. Great staff woth friendly people. Nice hotel close to the freeway and the Dam facilities. great view! took awhile to get used to some train noise, then found it relaxing.